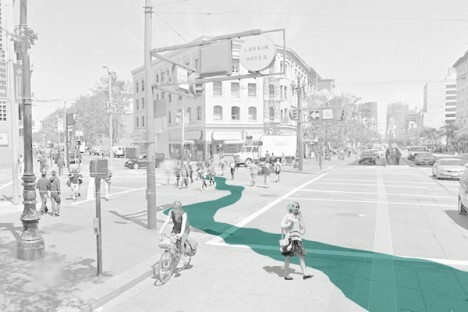 Half-forgotten historical urban rivers are set to resurface in San Francisco as part of a civic installation project designed to fill in their historical footprints with a bright blue work of temporary art. 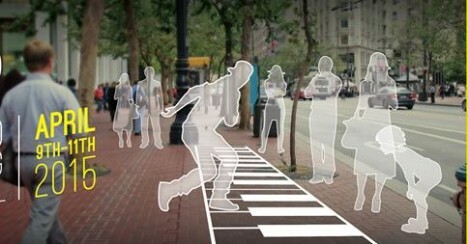 The project will stretch across roads, sidewalks and other urban staples with colorful swaths reflecting part the city’s hidden history. 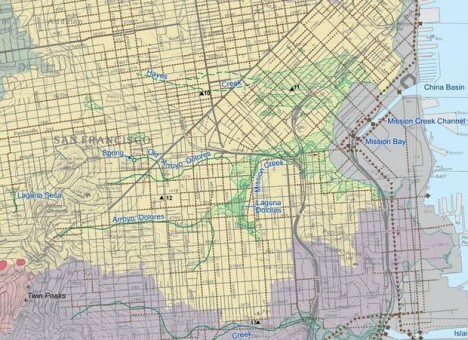 It might seem obvious upon reflection, but few people realize just how many surface waterways ebbed and flowed on the surface of a city like this before development forced their paths into culverts, tunnels and sewers. 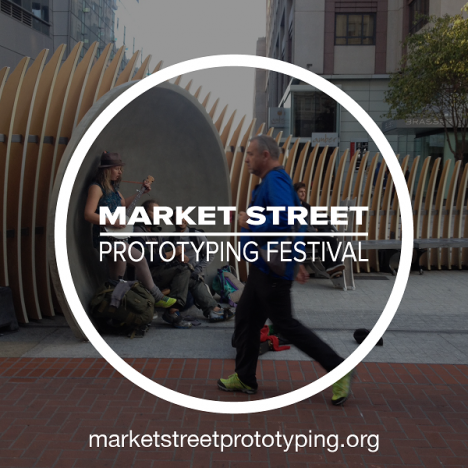 Set to debut at the Market Street Prototyping Festival (more on that below), this piece explores the intersection of past and present through installation art. 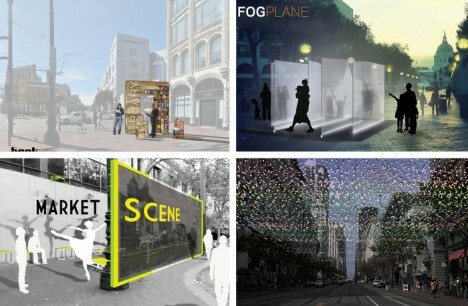 Still at a conceptual stage it remains to be decided whether the work will involve physically painting the streets or projecting light down on them from above. Emily is a designer living and working in the Bay Area. She is interested in the intersection of landscape processes, art, and systemic design and aims to incorporate these issues into her work. 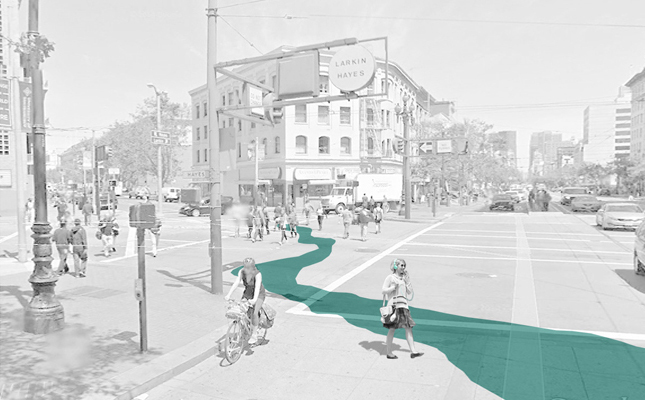 Hers is just one of dozens of crowd-selected projects set to line Market Street during the festival and spanning multiple neighborhoods.